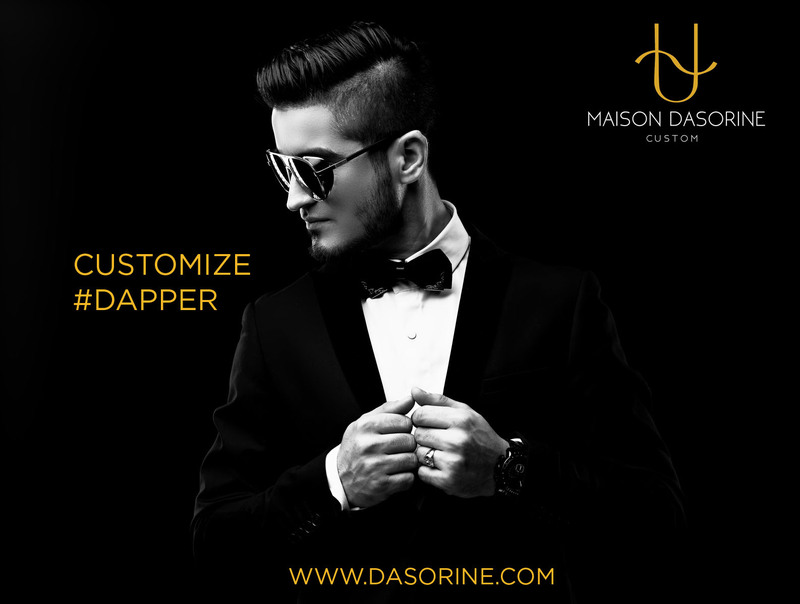 Maison Dasorine is an Elite Custom Menswear Brand that features Made-to-Measure garments in specifications of exact measurements. They are highly a unique company as they divide the Collections into Star or Constellation names and added Zodiac information to every Collection with the choices of Executive Fabrics and Styles in London, Italian and Formal. Weddings. They started off as a Formal Wear Rental store and grew clientele helping those who needed special fits and unique colors. They work with various Fashion Stylists, Wedding Planners and Movie Industry Costume Designers. Clients on a high profile are kept privately as they are a unique service that deals with major events. They are a Menswear Atelier and also provide Premium Tuxedo Rentals in their store. Starting an Executive Account and from there you are issued a Personal Designer to help with correct measurements and ensure the right garments are ordered. Executive Accounts are highly recommended as the customer service is remarkable. If there are issues with the garment, the garment is then remade and sent again at no addition charges. After the items are confirmed with a Personal Designer, The items are placed in priority. Countries may take longer for shipping. When the product is shipped from Canada, an email will be sent to confirm the sent products and your tracking number will be provided. Everyone has a different build, physic and body type. Measurements need to be precise as off the rack sizing doesn't always fit. Suits look bulky or too tight if it does not fit correctly. Fabric options and Style options build that personality in any suit. Customizing is the new retail especially when it has great workmanship. Select from various Collections. Then decide on the Fabric and Style. Measurements are then inserted to your online profile and confirmed with a Personal Designer after the Check Out. Measurements can be printed out on a PDF and can be sent to a local Tailor instead of confirming with a Custom Suit Specialist. Showroom Maison Dasorine is based in Canada. The production facility is in British Columbia in the district of Surrey. This is where the Personal Designers work and also where the garment is Quality Controlled and delivered. The Formal Wear Coordinator is also available by appointment. The process of Fittings to the Order is about one hour. The Showroom is equip with mannequins with the most Fashion Forward designs and 3 change rooms with 1 that is wheel chair accessible. All walk ins are welcome and appointments are recommended.